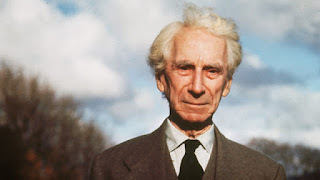 Bertrand Russell was born on 18 May 1872 at Ravenscroft, Trellech, Monmouth shire, into an influential and liberal family of the British aristocracy. His parents, Viscount, and Viscounts Amberley, were radical for their times. Lord Amberley consented to his wife's affair with their children's tutor, the biologist Douglas Spalding. Both were early advocates of birth control at a time when this was considered scandalous. Lord Amberley was an atheist and his atheism was evident when he asked the philosopher John Stuart Mill to act as Russell's secular godfather. Mill died the year after Russell's birth, but his writings had a great effect on Russell's life. His paternal grandfather, the Earl Russell, had been asked twice by Queen Victoria to form a government, serving her as Prime Minister in the 1840s and 1860s. The Russell’s had been prominent in England for several centuries before this, coming to power and the peerage with the rise of the Tudor dynasty (see: Duke of Bedford). They established themselves as one of the leading British Whig families, and participated in every great political event from the Dissolution of the Monasteries in 1536–40 to the Glorious Revolution in 1688–89 and the Great Reform Act in 1832. Lady Amberley was the daughter of Lord and Lady Stanley of Adderley. Russell often feared the ridicule of his maternal grandmother, one of the campaigners for education of women.